The Vegan Magpie: Zizzi Bank Holiday Offer! Hello! 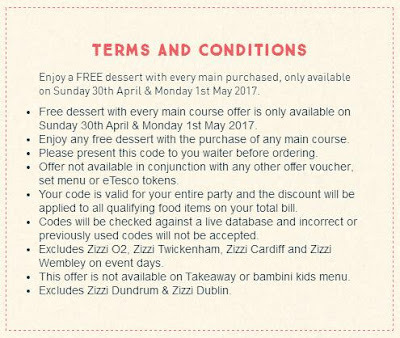 Vegan friendly restaurant Zizzi have a great bank holiday offer if you're feeling in the mood for some tasty food! (Sorry). You can currently get a free pudding with any main on Sunday 30th April or Monday 1st May if you print off a voucher. 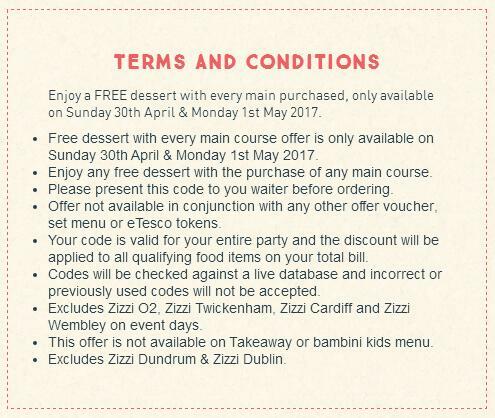 Just go here: https://www.zizzi.co.uk/offers and enter your local restaurant, then find the bank holiday offer for a free pudding. So if you fancy a pizza (or pasta, I've been told they also do pasta whilst I ate too much pizza), use this voucher to then get a free sticky chocolate and praline torte! YUM! So you could get a pizza and a pudding for just £9.95!